So what does a guy do after running 19 miles? 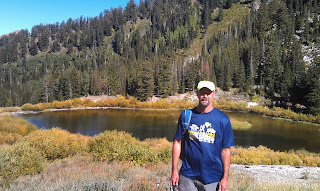 He recovers and then goes on another hike. 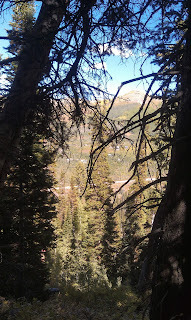 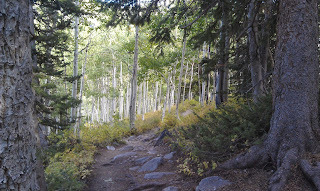 I was looking for an easy hike -- one that doesn't involve a lot of hills and not a lot distance. Lake Solitude certainly fits the bill and that's where I headed. 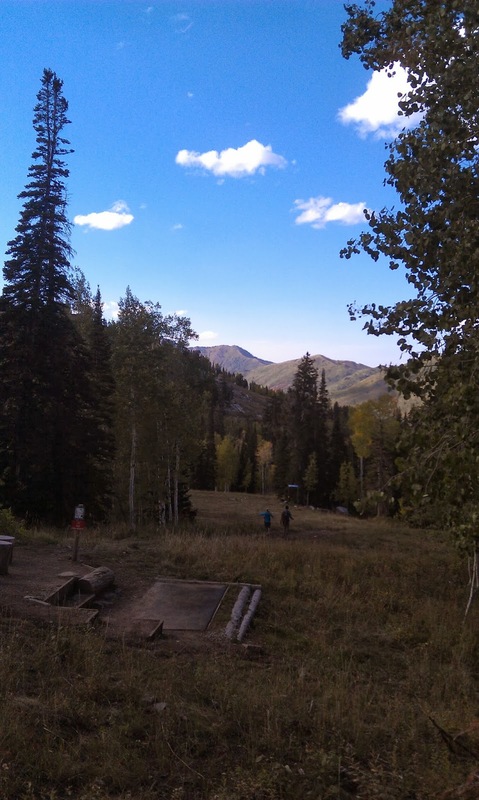 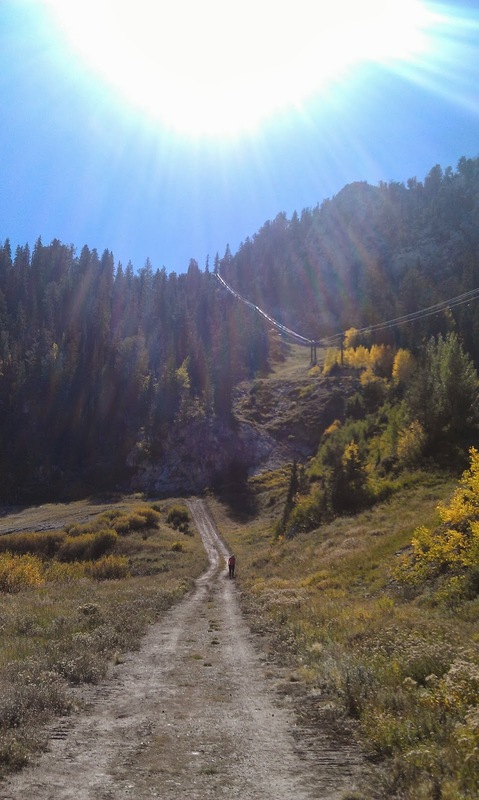 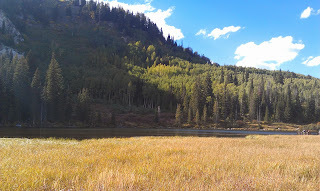 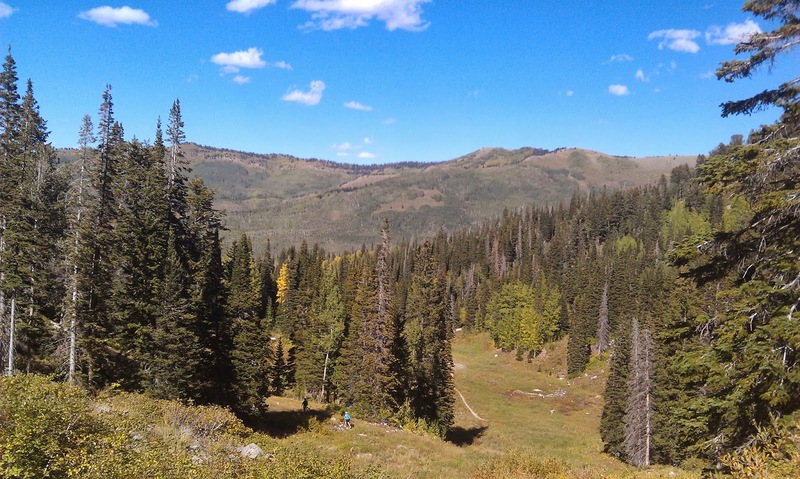 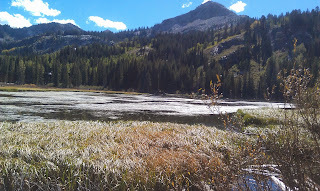 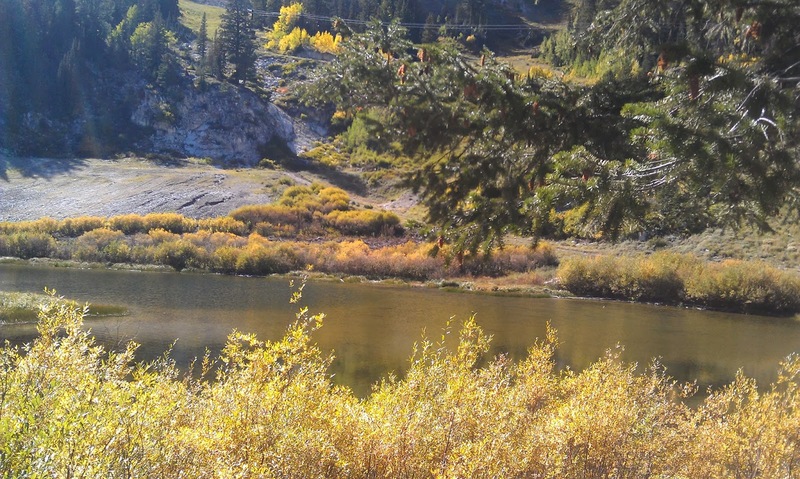 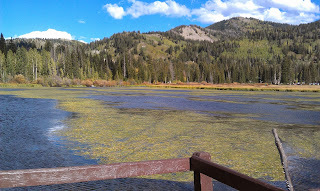 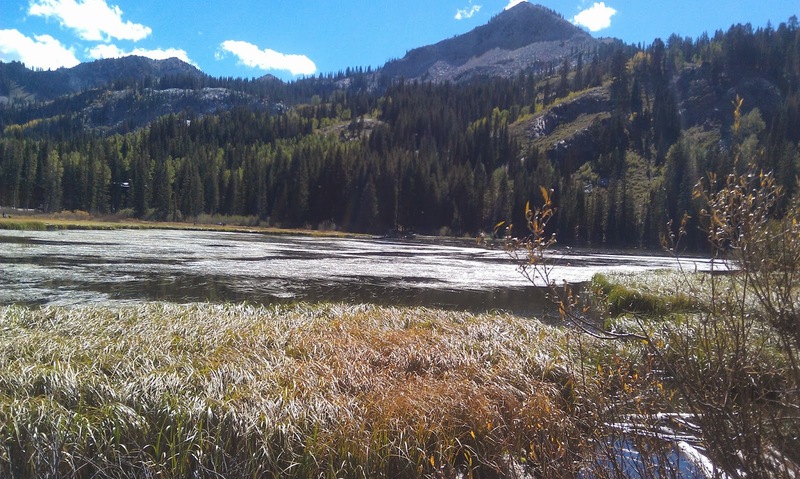 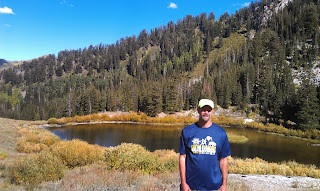 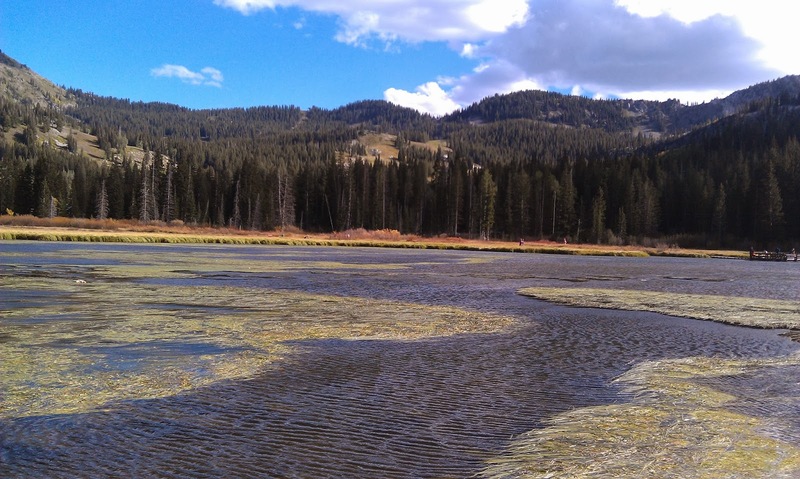 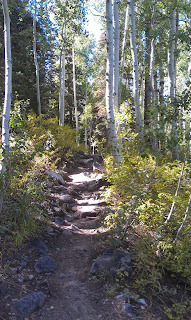 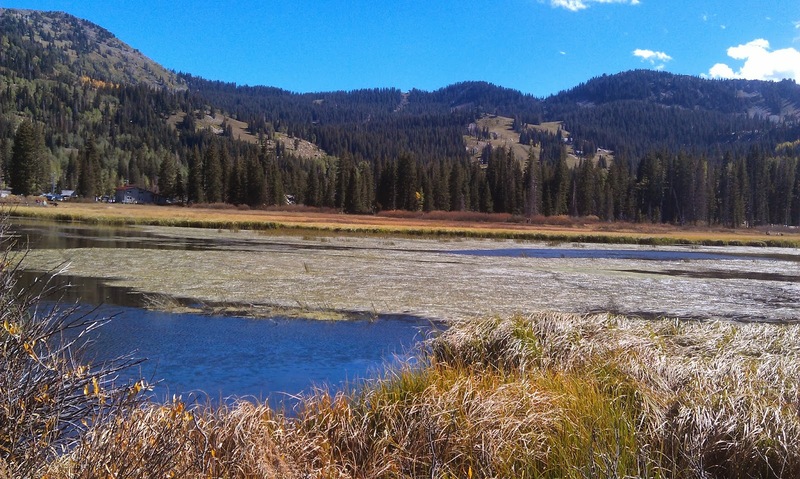 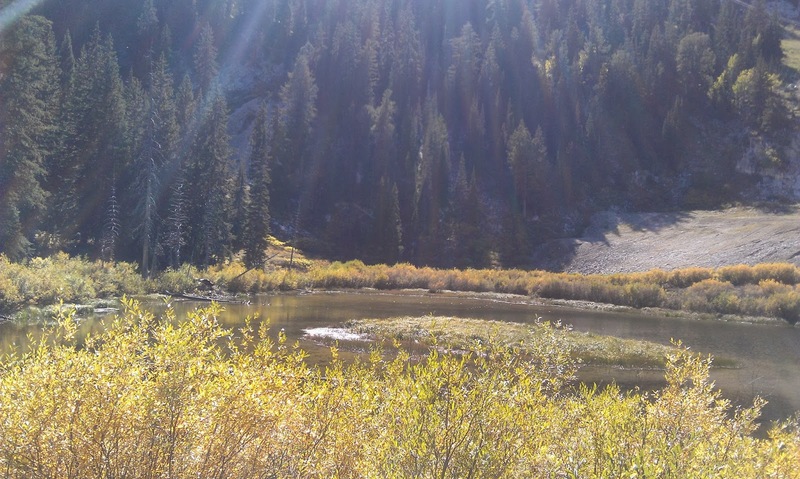 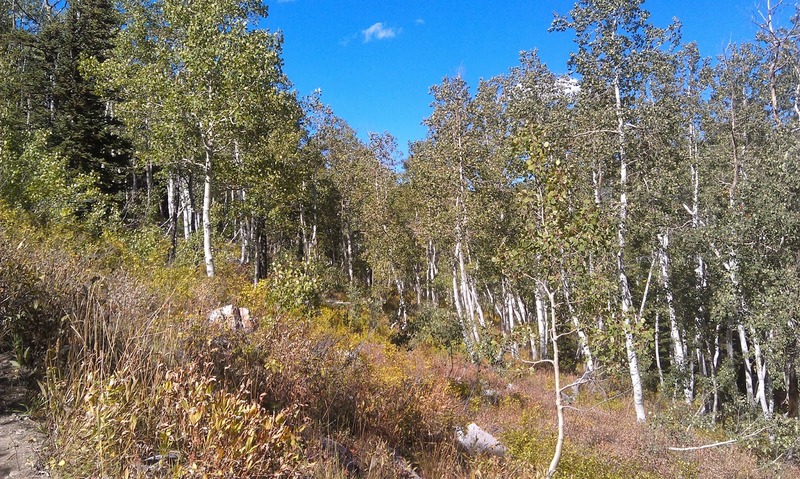 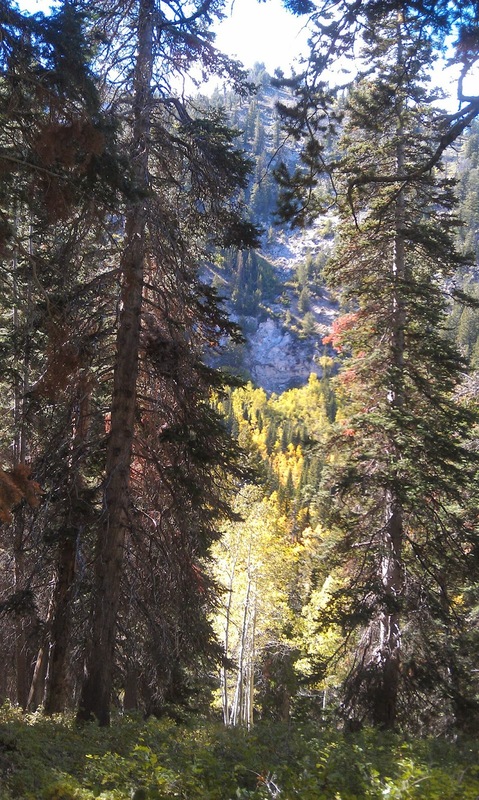 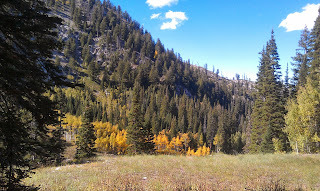 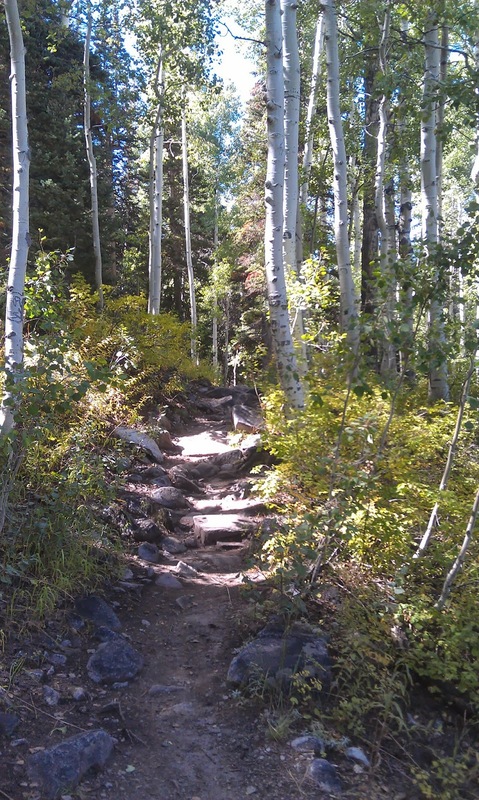 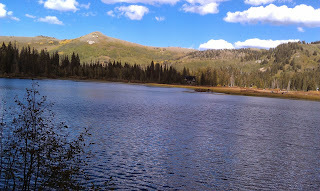 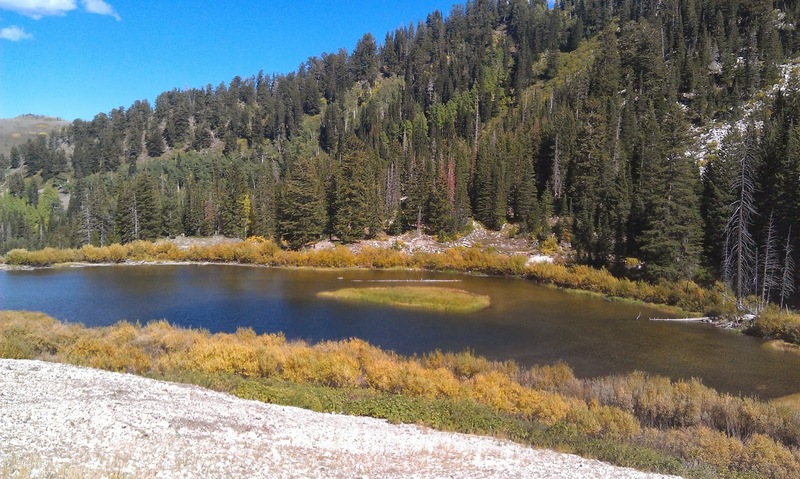 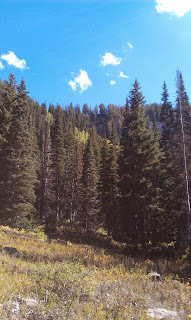 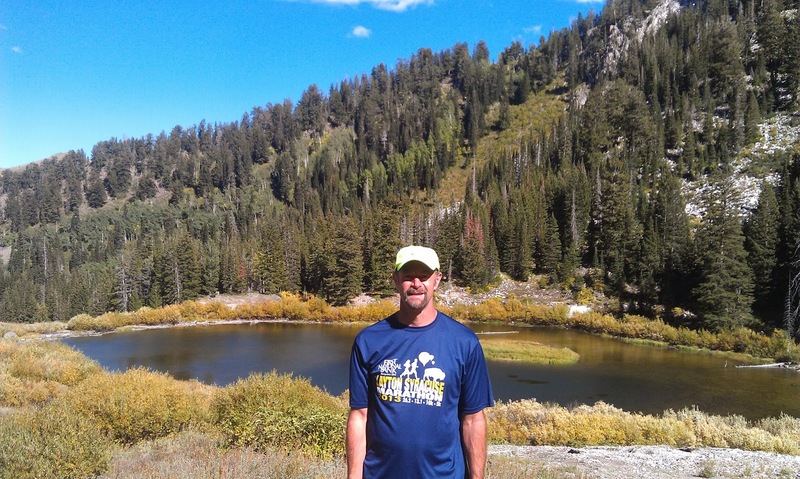 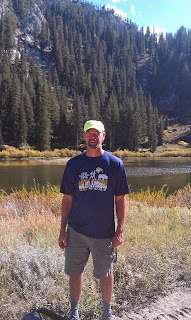 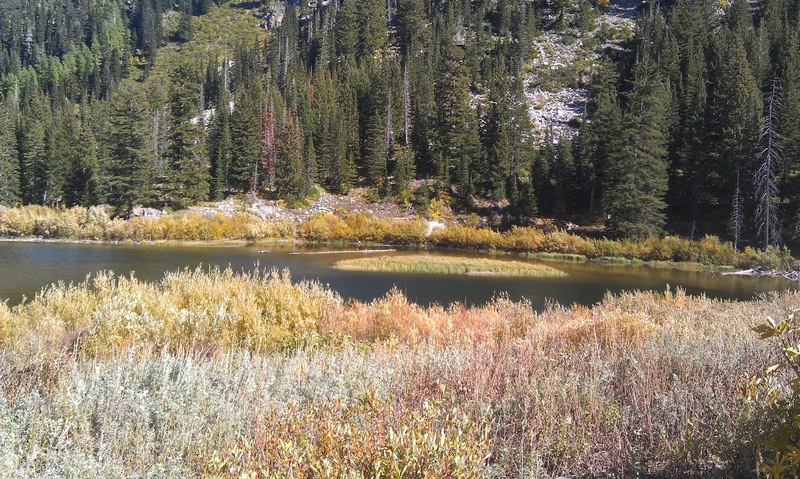 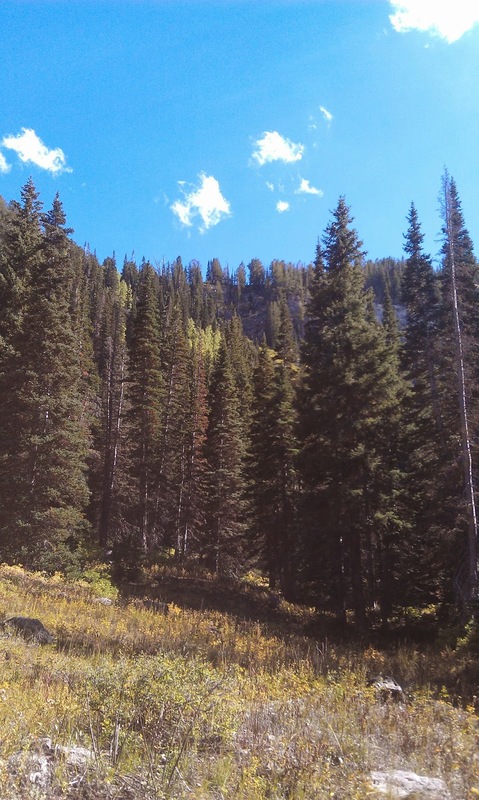 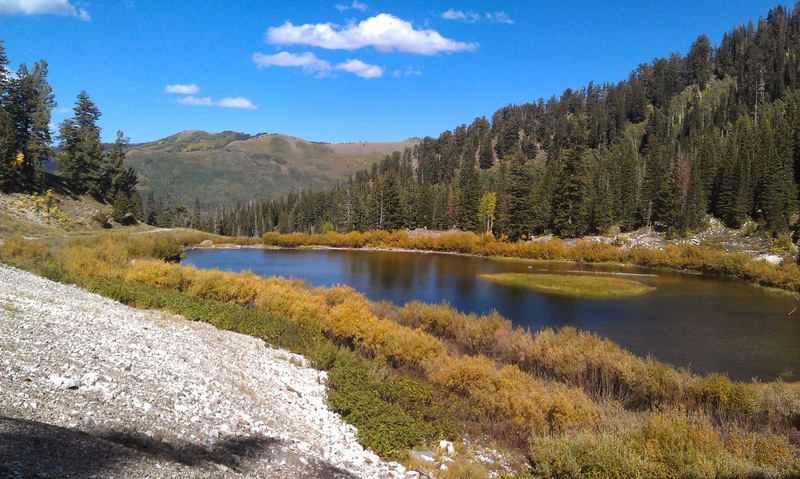 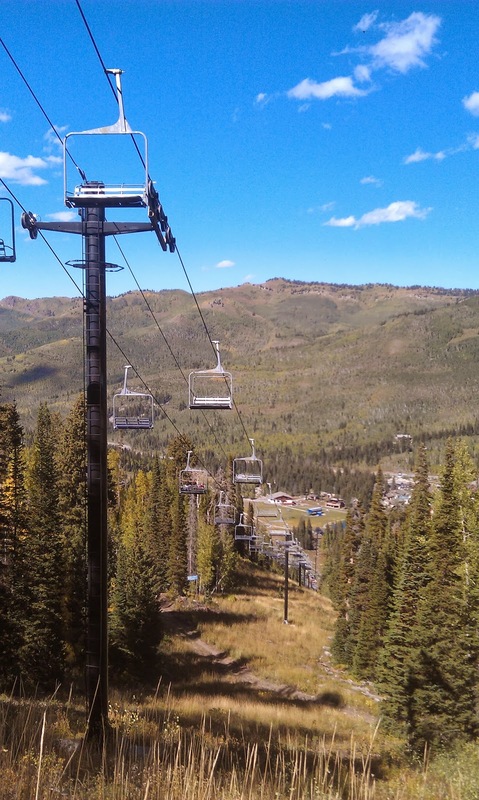 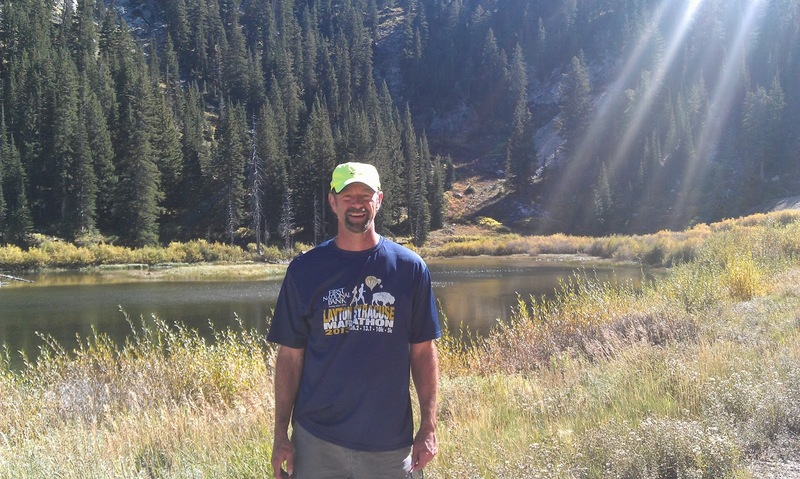 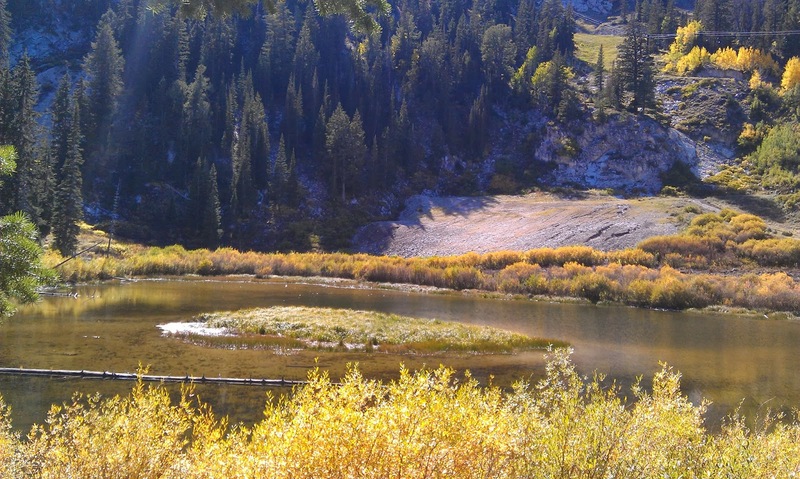 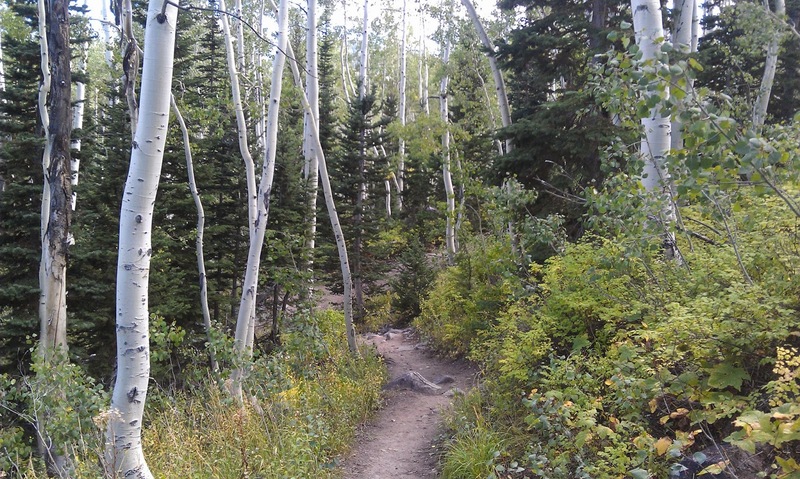 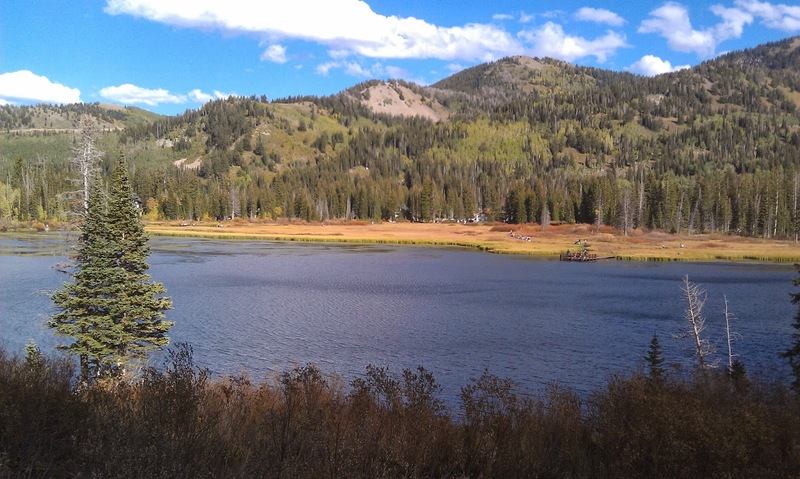 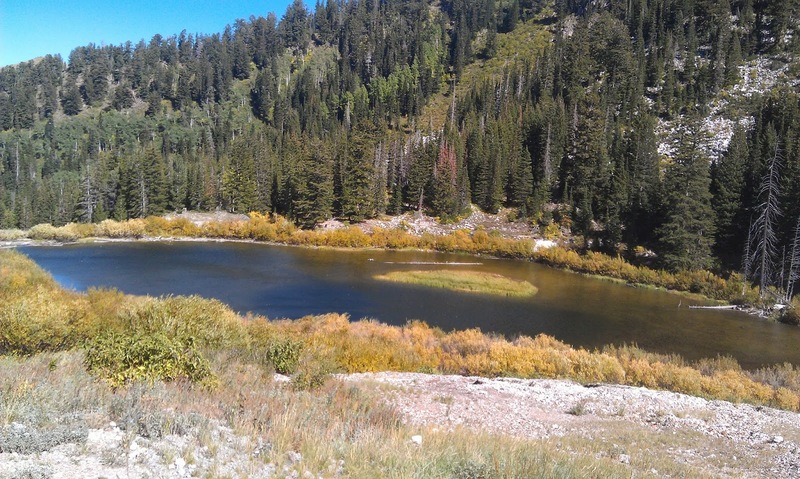 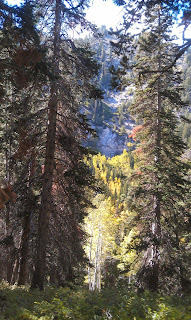 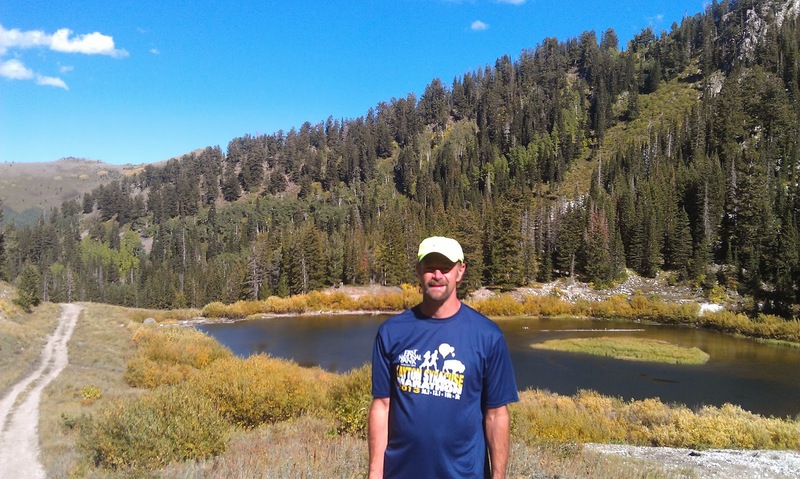 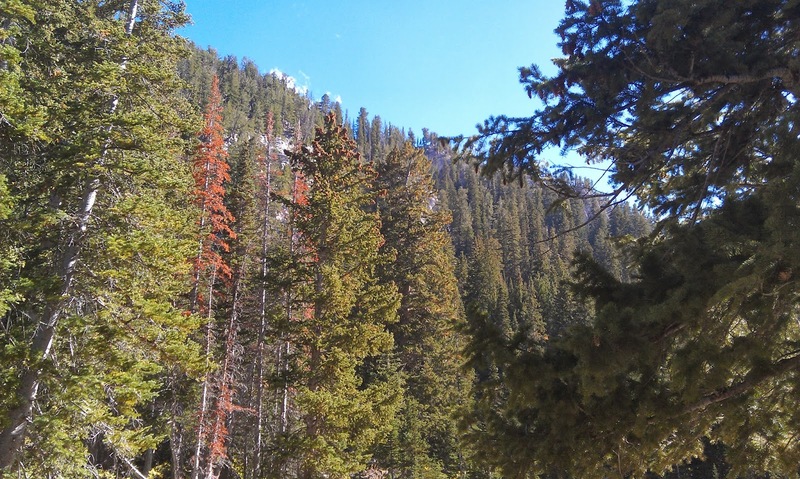 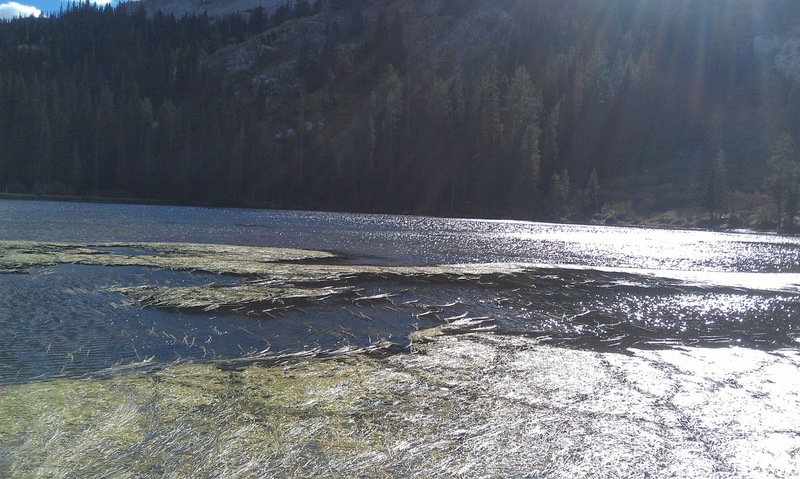 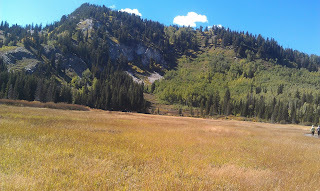 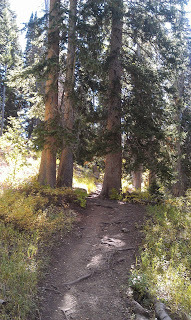 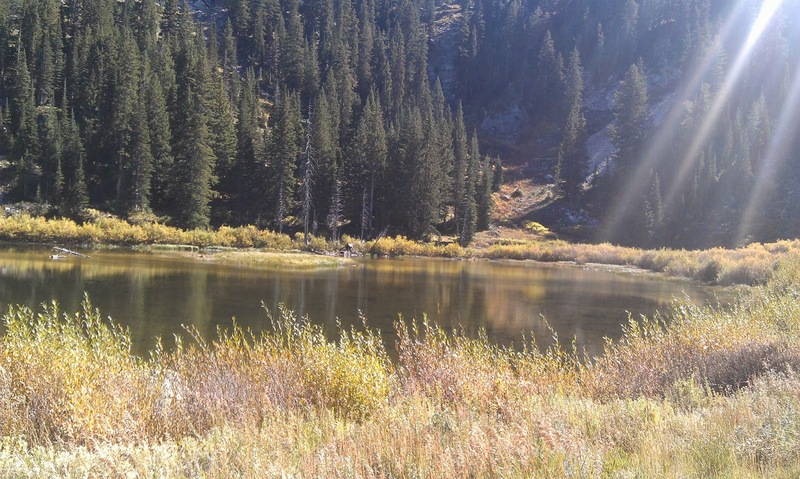 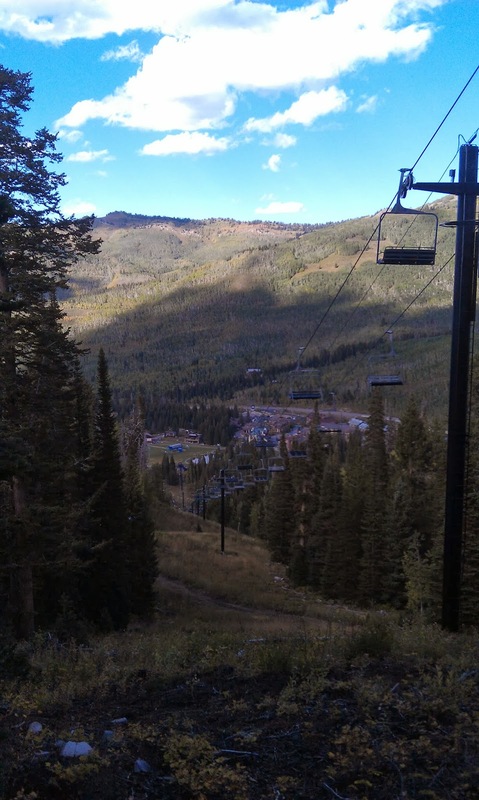 Located at the top of Big Cottonwood Road, this hike is about as well structured as they come. You basically park at the visitor's center, walk around on a fiberglass suspension bridge before coming to the trail head. 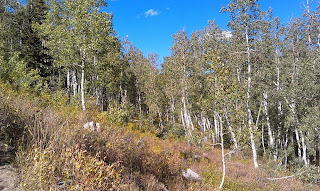 This trail is largely enclosed in trees and doesn't involve any scary cliffs or massive climbs (except the last 50 meters). 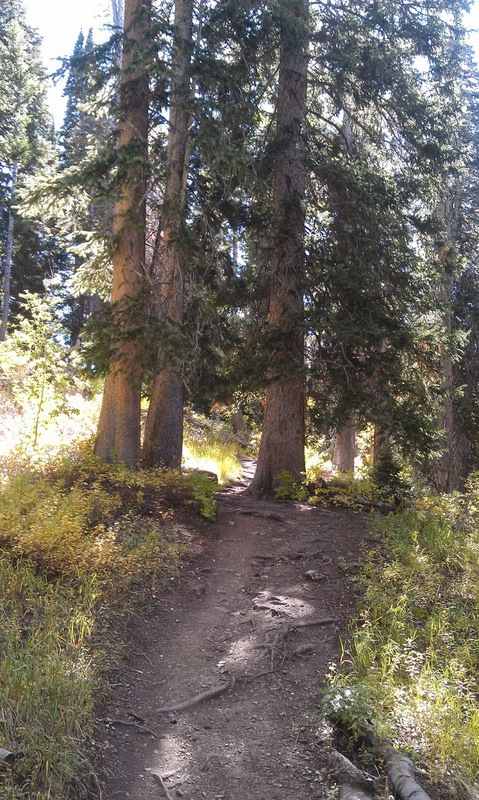 This trail is a little confusing on account that there are several places where mountain bikers can come on and leave the trail. 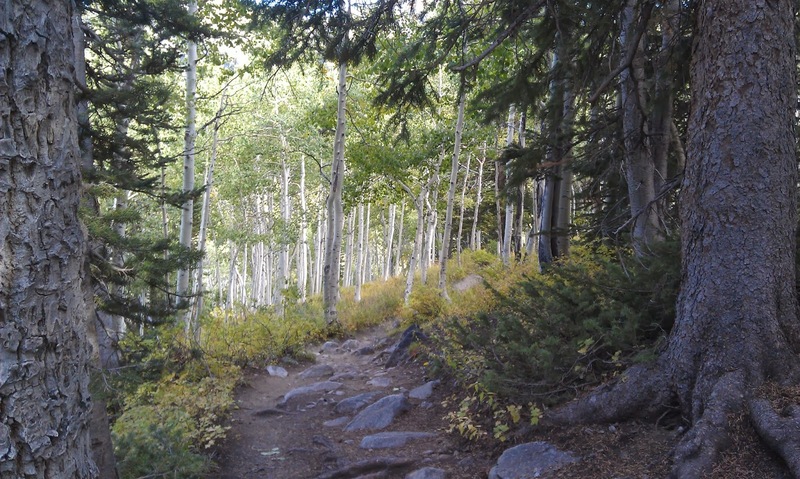 However, for the hikers you basically have to stick to the single track trail and you will be fine. 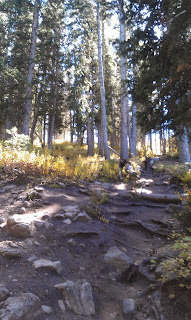 The trail is about 1 mile from the trail head (it is basically a half mile walk to the trail head) before you start on a very gradual uphill walk to Lake Solitude. For runners, the trail is also an awesome resource, is the amount of obstacles were pretty limited. 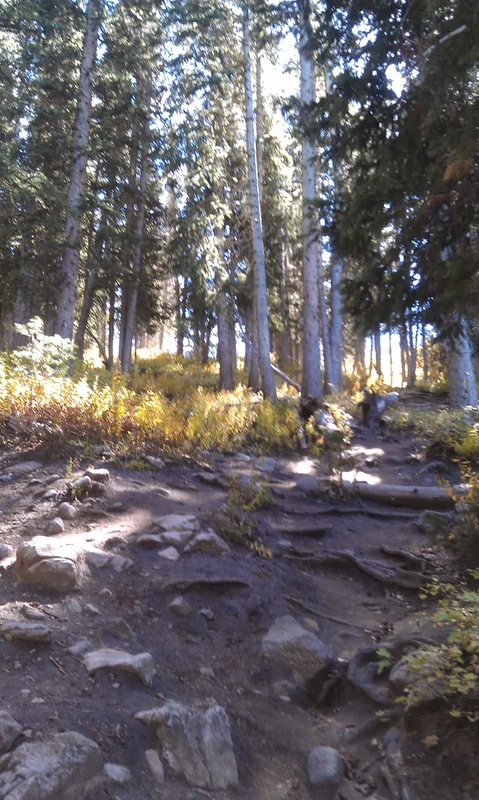 You do have to watch out for mountain bikers though as they seem to enjoy the trail too. 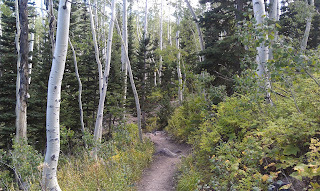 Also this trail is well traveled, so if you are looking for a quiet hike you should probably seek someplace else. 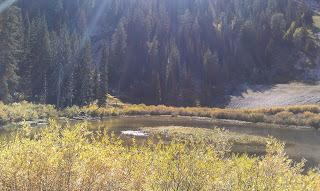 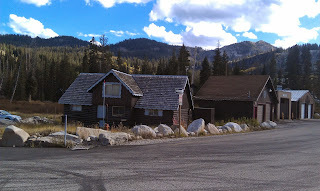 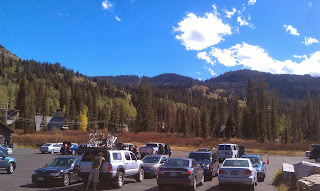 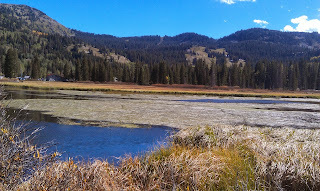 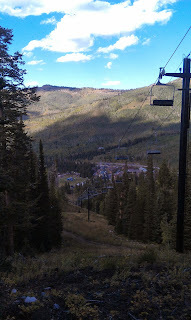 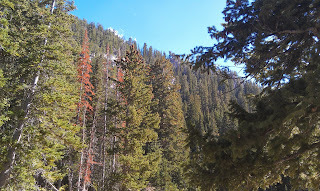 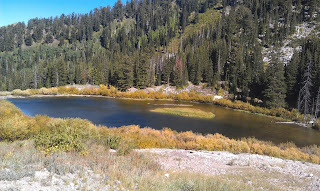 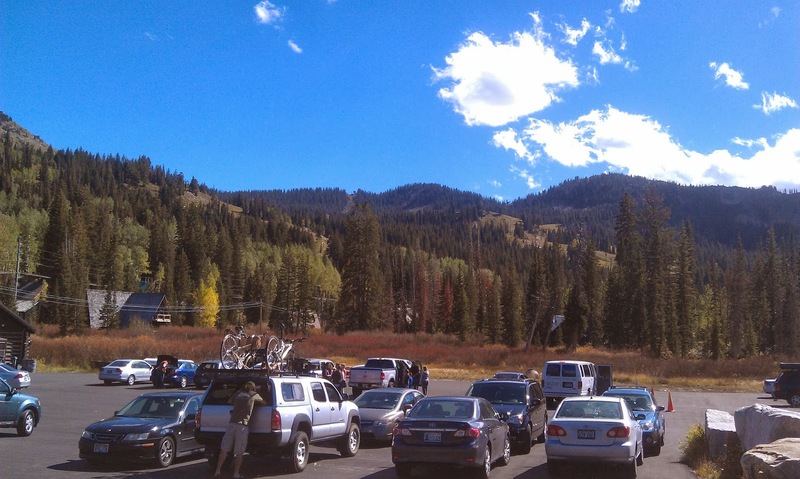 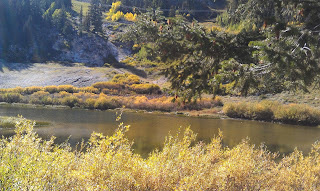 The top of Big Cottonwood Canyon road is very popular with tourists and those with families. The ski left was operating. 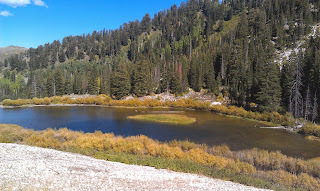 Slightly elevated view of the lake. 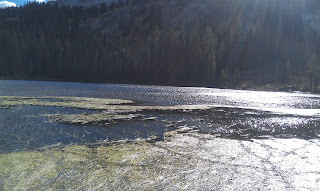 Silver lake, about a mile long lake.